It is many people’s dream to be a professional footballer – but it’s unlikely anyone dreams of a career spent mostly on the bench. For a number two goalkeeper, however, that is the reality. There are undoubtedly some who join clubs knowing full well they will not play – Lee Grant and Rob Green, for example, will have known what they were signing up for when joining Manchester United and Chelsea over the summer, and having both spent plenty of time as first choice during their careers, their choices are understandable. Others, however, end up as reserves much earlier in their career. It’s a situation Carlo Nash knows all too well. The 44-year-old made fewer than 300 league appearances over a career which spanned 21 years, yet the first half of his career was filled with what looked on paper like good career progression moves. “Being a number two wasn’t of my choosing, but that was the way it was and I knew what was needed to cope, both mentally and physically,” Nash says. “Yes, it is a disappointment that I played fewer games than I would have liked, but I look at some of the teams I played for and the majority of goalkeepers I was backing up were international footballers. “Unless they were injured, I wasn’t going to get a run in the side and, unfortunately for me, they rarely were. A Bolton native who grew up an Everton fan, Nash’s big break came in 1996 when was spotted by Crystal Palace scouts playing for non-league Clitheroe in the FA Vase final at Wembley. A year later, Nash was back at the Twin Towers as he helped Palace reach the Premiership with a 1-0 win over Sheffield United in the play-off final, but the summer of 1997 provided him with his first taste of professional disappointment as manager Steve Coppell decided to bring in Kevin Miller as his new number one. Unfortunately for Nash, such setbacks were to become the theme of his career. After a season of inactivity for Palace, he joined then-First Division Stockport County in 1998 where he impressed over the course of two seasons as a No.1 again and almost earned a move to Leeds United. 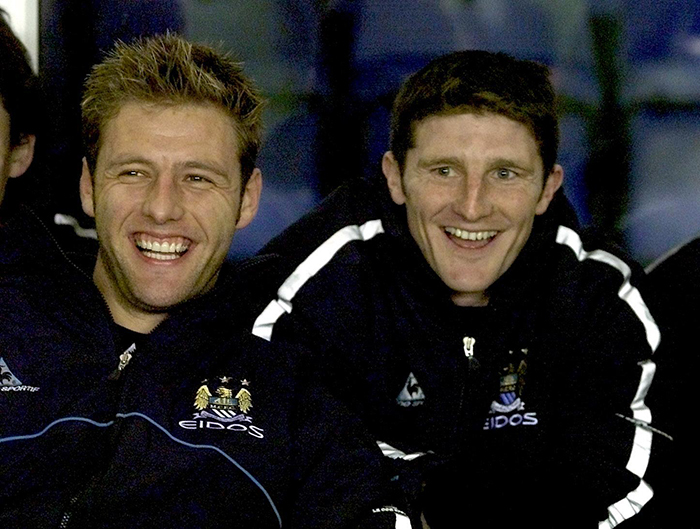 He eventually joined Manchester City in January 2001, playing six times as the club was relegated from the Premiership and then 24 times the following season when Kevin Keegan’s side were promoted straight back. But a Great Dane eventually got in his way when City signed Peter Schmeichel ahead of the 2002-2003 campaign. Not that Nash holds any grudges. “One of the press boys asked me what my reaction to Schmeichel signing was, but that was the first I’d heard of it,” Nash says. Nash joined Middlesbrough at the end of that season, but after failing to displace Mark Schwarzer at the Riverside Stadium, he dropped back down to the second tier with Preston North End in March 2005, once again proving his desire for regular football. 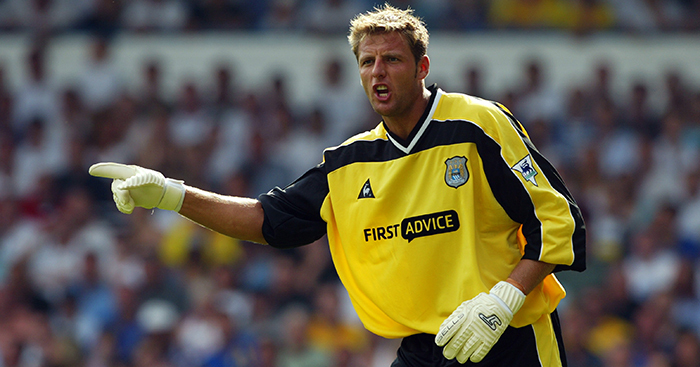 He kept a club record 24 clean sheets in 2005-06 and was first choice for most of the following season too, but a collapsed transfer to Fulham in January 2007 marked the beginning of the end for Nash as a regular. He fell out with Preston and was loaned to Wigan, who he joined permanently that summer, but Nash would only make 13 more first-team appearances in his career. Ten came on loan at Stoke City during the second half of the 2007-08 season as he helped Tony Pulis’ side win promotion to the Premier League, but in his final six years as a pro he played just three times. He did, however, sit on the bench for two FA Cup finals during that time, first for Everton in 2009 and then for Stoke two years later. Though both teams lost on the day and Nash did not contribute, they are still memories he cherishes. Nash, who retired in 2014 after a season with Norwich City, and is now goalkeeping coach at National League Salford City, says being a back-up stopper “is unlike any position on the football field”. “You have to wait for your chance and it is difficult to show your worth,” Nash says. 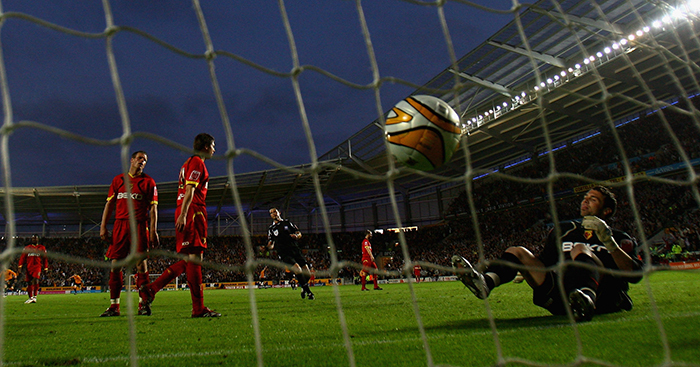 “Unless there is an injury to the regular keeper, you know you are in a supporting role. Richard Lee, who spent eight years at Watford but only made 92 league starts, shares Nash’s feelings. “A lot of it is psychological because goalkeeping is essentially a different sport to what the outfield players play,” Lee says. “It is an odd position and like being a referee in some ways – if you don’t get noticed, you’ve probably had a good game – but make one mistake and the criticism comes. Unfortunately for Lee, he was not able to do that after making a mistake during Watford’s Championship play-off semi-final with Hull City in 2008. 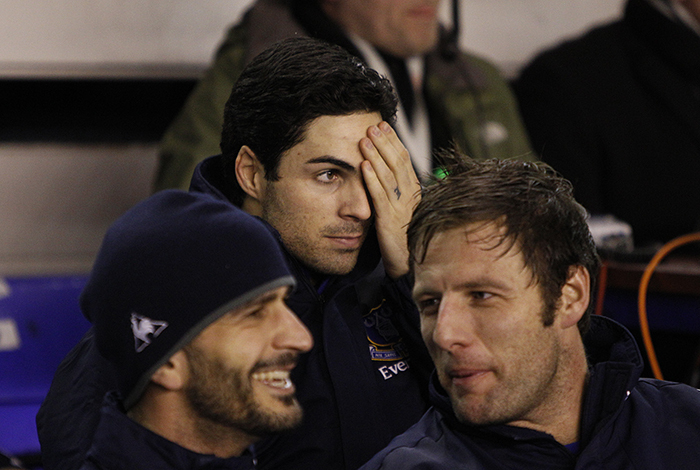 “I struggled for six months after the Hull game,” he says. “But it is a bit of a cliché, but what doesn’t kill you does make you stronger. Lee has written two books, Graduation: Life Lessons of a Professional Goalkeeper and So, You Want To Become a Professional Goalkeeper? He says feelings of disenchantment are simply part of life as a number two keeper. “You knew it was nothing personal with the other goalkeepers, but there was always a feeling if we had won a tight game say, 1-0, that you didn’t feel part of it, while at the same time being happy for the others. “You’re sitting on the bench game after game, but you always have to remind yourself that today could be the day. Lee, who retired in 2015 at the age of 32, is now concentrating on mentoring young keepers and is also a master practitioner in Neuro-Linguistic Programming. “People think linguistics is all about language, but it can also be used to help programme the mind,” Lee says. 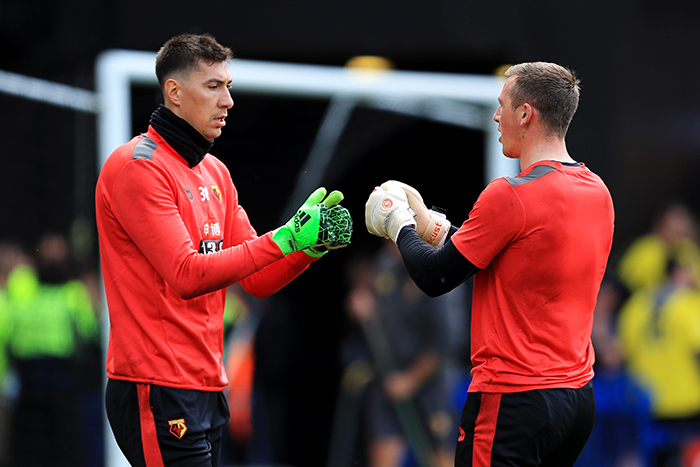 When Lee left Watford in 2010, a young Irish keeper replaced him in the squad. But eight years on and Rene Gilmartin, who started his career in 2005 at Walsall, has made just 30 league appearances during spells with Watford, Yeovil Town, Crawley Town and Plymouth Argyle. Now a goalkeeping coach at Colchester United, where he is still registered as a player, Gilmartin accepted his role as a back-up much earlier in his career. “Young goalkeepers especially have to understand that not everyone can be a De Gea or a Courtois, but they may have traits in their game which they can play to,” Gilmartin says. Such a philosophical attitude has stood Gilmartin in good stead, as he completed his UEFA B coaching licence at just 21 and was happy to return to Watford for a second spell in 2014 despite knowing he would be third choice. And, as training usually finished at 1pm, he ingratiated himself in the club, working as a community ambassador, as well as representing Watford at the PFA and co-commentating on their games for local radio. “I saw going back to Watford as a great opportunity to be part of a totally different club to the one I signed for in 2010,” the 31-year-old says. “I just loved listening to the team talks, taking part in training and being part of the fabric,” he says. “You do still feel part of something, part of the team and part of the dressing room.